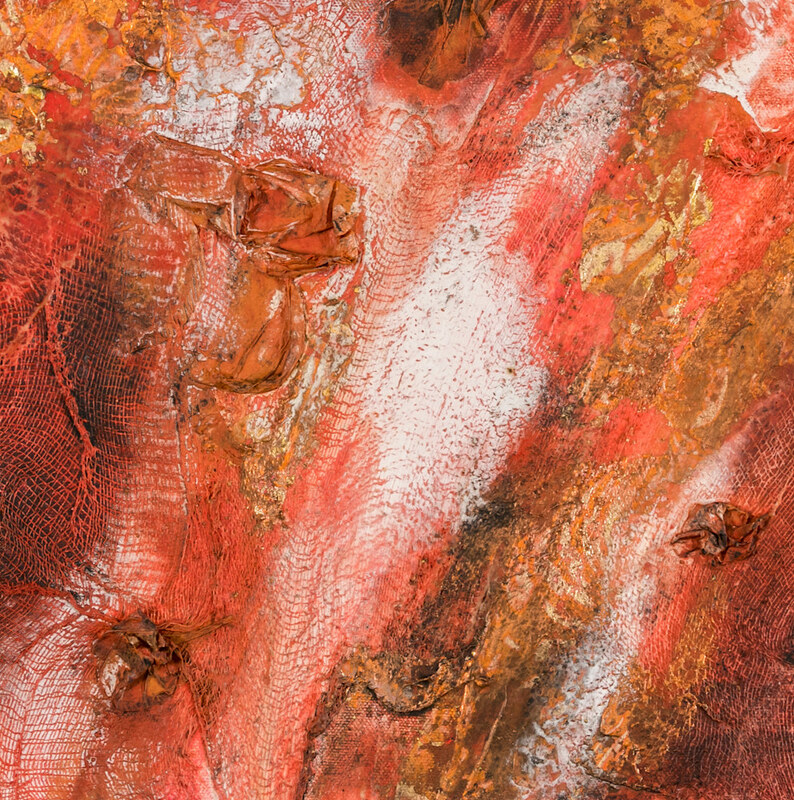 Congruence 2 is a texture study using new materials and powdered pigments. It measures 12" x 12". Congruence 2 is highly textured bas-relief original painting. The use of fabric, paper, gold leaf and powdered pigments created this colorful and energetic painting. The edges are painted so it is ready to hang (museum quality hardware is included). It is perfect for a narrow wall or end of a hallway in your office or home. Congruence 2 a texture study using new materials to create composition and a warm color palette. Congruence 2's texture was crated by using fabric, paper, glue and gold leaf.